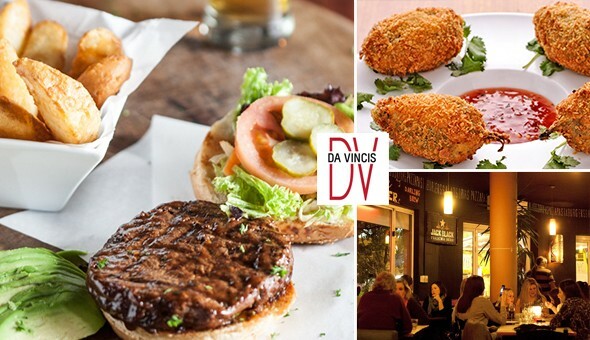 DealZone | 51% discount deal in Cape Town - Da Vinci’s on Kloof Street! Peppadew Poppers & Garlic Pizza Bread Starters, plus a Choice of Gourmet Burgers with Sides for 2 People! Da Vinci’s on Kloof Street! Peppadew Poppers & Garlic Pizza Bread Starters, plus a Choice of Gourmet Burgers with Sides for 2 People!